No-cry coach Cheryl Fingleson explains how to shape sleep habits from birth. Is sleep training possible with a four month old baby? Cheryl says no, we don’t sleep train babies that young – but there is another option that’s even better. It’s called ‘sleep shaping’. 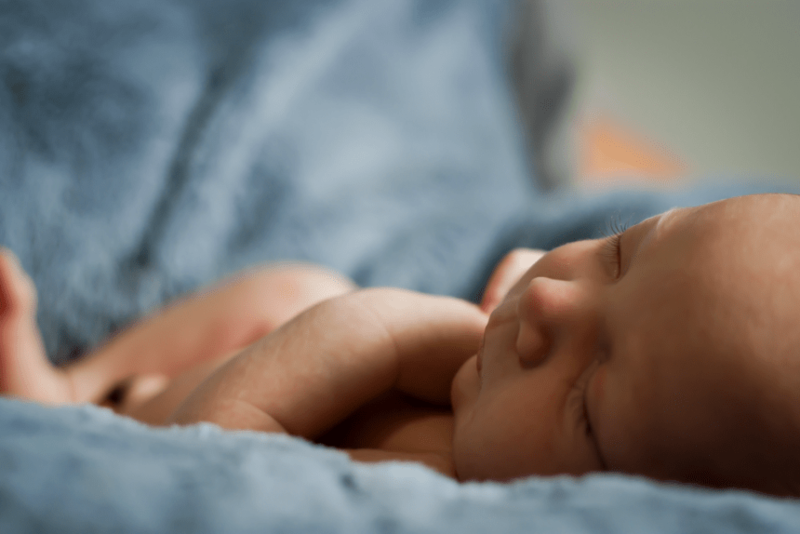 It’s the question on the lips of almost every parent of a newborn: when will my baby sleep through the night? The second is usually: when can I sleep train my baby? Cheryl The Sleep Coach, explains that from birth to around four to six months, sleep training a baby is not possible or advised. Very young babies just aren’t developmentally ready for it. But this is the perfect time to build healthy future sleep habits with what Cheryl calls gentle sleep shaping. Get this right and you may never need to sleep train your little one because they’ll have already learnt the basics! Yes, you can start ’sleep shaping’ from two weeks old! When a baby is born, they don’t know day from night and their sleep is very light. But after the first two weeks, Cheryl explains that it’s possible to start helping your baby learn good sleep habits with five basic tips. 2. Go outside every day – babies sleep better after being exposed to daylight. 3. Feed regularly. As often as he needs but if it’s been longer than three hours, consider waking your baby for a feed during the day. 4. In the evening, make the atmosphere quieter and calmer. Make your baby’s sleep environment peaceful. Turn the lights down, start implementing a bedtime routine: a bath, massage, a feed, a soft lullaby or read a book. Then say, “night, night, time for sleep,” as you put him in his cot. However you can learn from your baby and by reading her cues, understand what she likes and when. Keep a log and after a while you might see she has times when she’s always hungry, or always needs a nap. This will help hugely when they’re upset and you’re trying to read her signals. It’s also the building blocks for a routine further down the road. “This is the age when you can really start to help ‘sleep train your baby’s routine and have him learn how to fall asleep on his own,” explains Cheryl. She advises not to put your baby down for his naps while he’s already asleep. If your little one goes from drowsy to distressed as soon as you put him down, remain nearby. You can reassure him with loving words or lightly rub or pat to soothe. If you feel he’s still struggling and needs to be picked up, you can cuddle, walk, sing or pat him but make sure you don’t keep holding him until he’s drowsy. Let him finish this part of the process himself. It’s possible that your baby will show signs of moving into a routine around the 12 week mark, whether or not you do anything to encourage one. There’s also a lot of hormonal changes going on in your little one’s body at this stage which is important to consider. “Babies start to produce melatonin around this age which helps them regulate their body clock and feel sleepy at bedtime. But if you don’t balance this out with good quality day-time napping, your baby may be sleep deprived and start to produce too much cortisol which frequently wakes them up in the night or very early in the morning,” explains Cheryl. … followed by the dreaded four month sleep growth spurt or what some people call a sleep regression. So much is going on in a baby’s brain at this stage, that their sleep is frequently disrupted around the four month mark. Unfortunately this often happens to previously good sleepers too! Take things back to basics: work on a daytime routine and a night-time one. Follow your baby’s cues and needs. The days of letting her nap in her stroller for 30 minutes are probably over. At this age babies prefer to be in their own bed and to have longer naps. But as Cheryl points out this will have a positive knock on effect to night-times so it’s worth it. As Cheryl always says, “Please don’t struggle alone”.